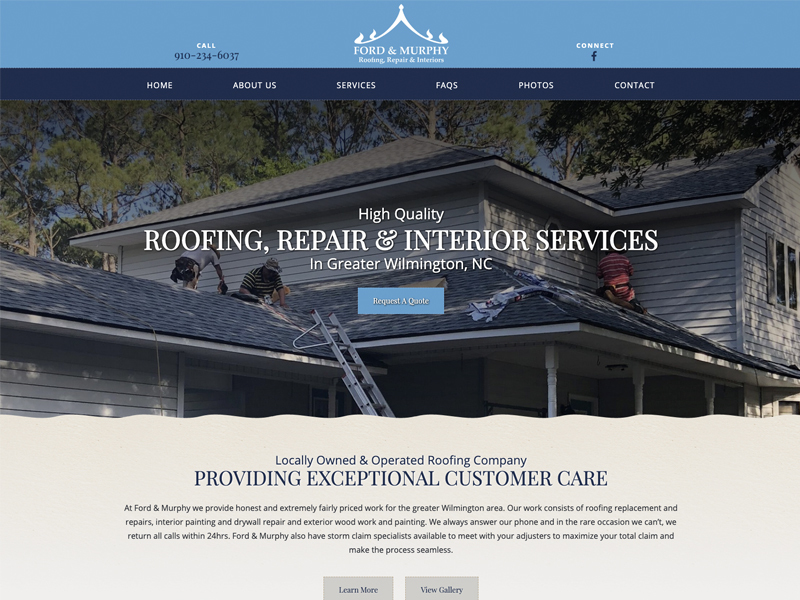 FORD & MURPHY ROOFING, REPAIRS & INTERIORS NOW ONLINE WITH NEW WEBSITE! The new website has a coastal-themed design with tasteful aesthetics and clear navigation, allowing potential clients he ability to learn more about the business and ultimately request a quote when ready. WBD Launches Modern Website With Custom Features. 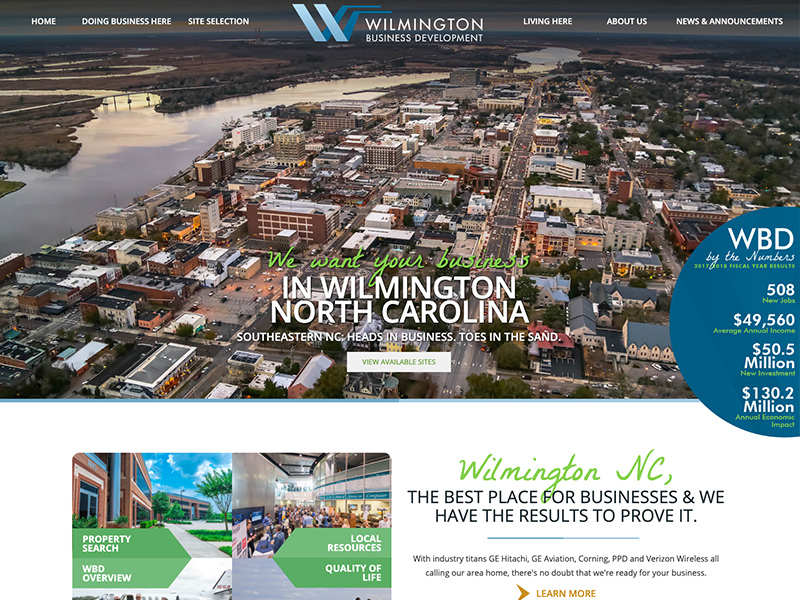 The new website has an ultra-modern design that offers a familiar user-friendly experience with streamlined navigation leading to site selection and detailed information about what it means to both live and do business in the Greater Wilmington area. 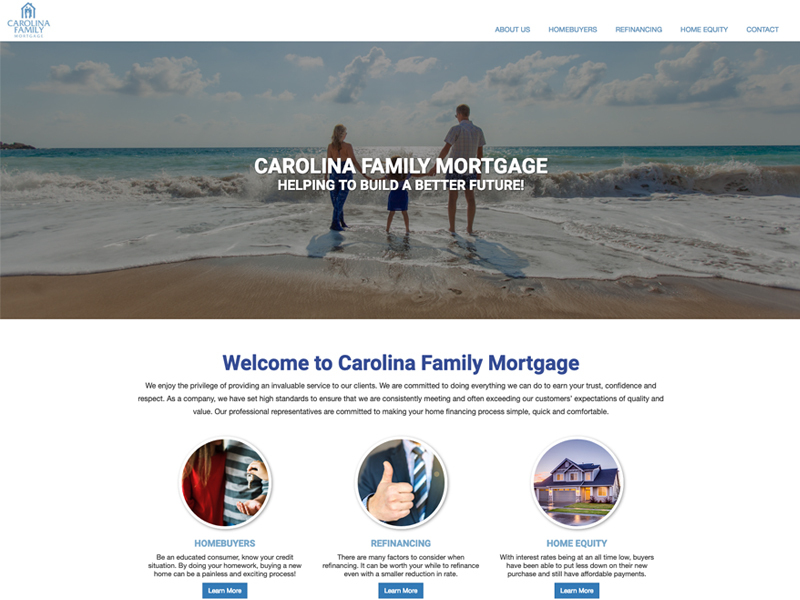 Designed to offer the ultimate user-friendly experience with improved navigation and functionality, the new responsive ("mobile-friendly") web design for Carolina Family Mortgage allows visitors to navigate the website to quickly and easily find what they are looking for while on desktops and mobile phones alike. 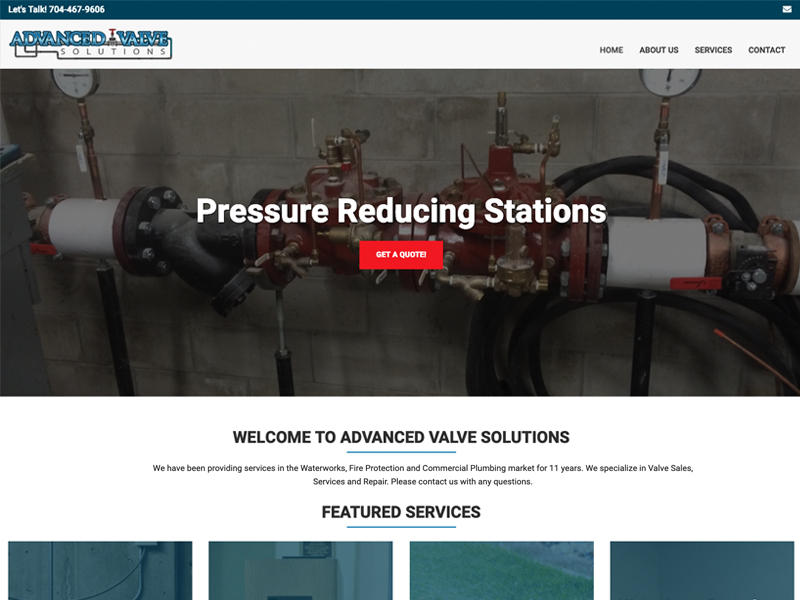 Created with clean aesthetics and simple navigation, the new web design provides website visitors with information showcasing the various services offered by Advanced Valve Solutions. From Backflow services to irrigation systems repair and replacement, they do it all!